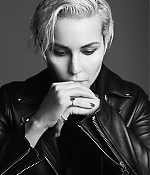 10 Magazine has posted its interview with Noomi Rapace on their website, so make sure to head over and read it: I meet her at the South Kensington Club, where she is a member, mostly to use the gym upstairs. 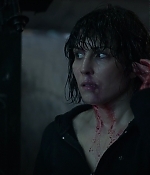 If you put her name into Google Images, two of the top five suggested searches are “Noomi Rapace abs” and “Noomi Rapace muscles”. She practises Thai kickboxing and trains with her boyfriend. Today, her hair is peroxide blonde. Rapace’s presence commands attention. People in the club know who she is – a few say hello – but if they didn’t, there’s something in her demeanour that makes you aware she is there. Rapace says that people in London don’t recognise her, but I imagine they know she is someone, they just might not know who. Her face is angular but still feminine, which allows her to slide between the androgynous and the sexual – a shift that many directors demand of her. So you may be forgiven that she would be guarded – a reluctant interviewee, lost in preparations for whatever comes next. But she’s not. “People think I’m very serious and I’m very dark because of the roles I play – I’m not,” she says. It’s a statement delivered with – as many things she says are – a husky giggle. She tells me her favourite word is boom. “I say it alllllll the time,” she says. 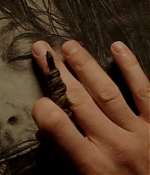 So much so that the word is written out in diamonds on a ring on her finger and also hangs from an earring. Both are custom made. She got the same earring made for her close friend Marilyn Manson. 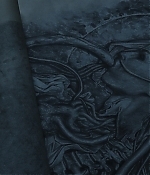 His is in silver. Frederik September 29, 2017 Comment? Over the past few weeks, three publications have announced Noomi to be their cover girl for their respective September and October issues. 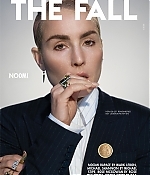 You’ll find Noomi on the covers of 10 Magazine (September 2017), The Fall (September 28, 2017) and Wylde Magazine (October 2017). Each appearance has been accompanied by some stunning new editorial pictures. 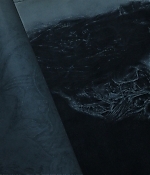 Have a look at all new additions below. 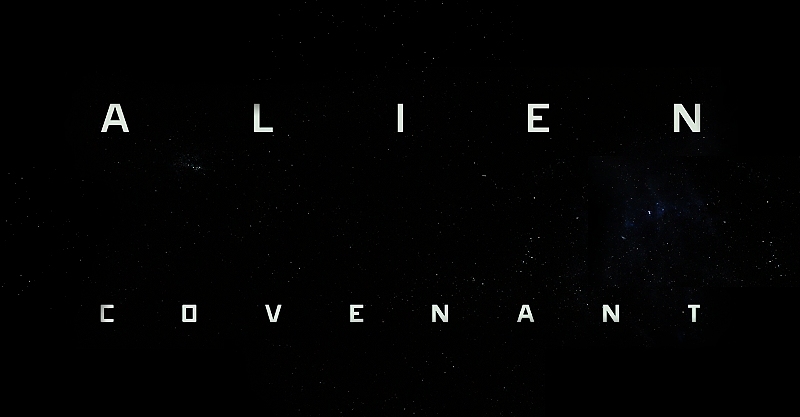 Ridley Scott’s “Alien: Covenant” has been released in the United States and most European countries by now on home video and demand, and I have been able to make screencaptures from the site. 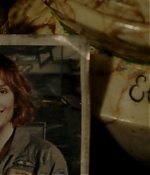 There are very few, and each of them is a spoiler, so if you haven’t read or heard or watched anything about Elizabeth Shaw’s fate, this post isn’t for you. I found “Alien: Covenant” rather disappointing as it lacked the great chemistry that has made the “Prometheus” crew so special – but if you kill off Charlize Theron, Logan Marshall-Green and Idris Elba, this is what you get. 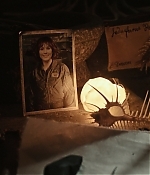 The same thing can be said about Noomi, who appears not even as herself, but as a wax figure of what’s left of Shaw, and in the form of pictures, although you’ll miss both if you blink for too long. 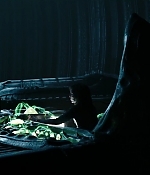 So basically every frame she has appeared in “Alien: Covenant” is in the photo gallery. 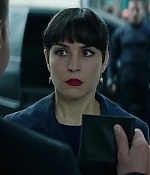 There were a few more blink-and-you-miss-it footage in the extended scenes, as well as the prologue, which was released as part of the promotional material for the film’s theatrical release – a pity this has been the most extensive Noomi material of it all. Nevertheless, to think positive, with “Alien: Covenant”, Noomi’s most recent project has been covered as well, so now we can all look forward to December’s “Bright” on Netflix. Frederik September 01, 2017 Comment? 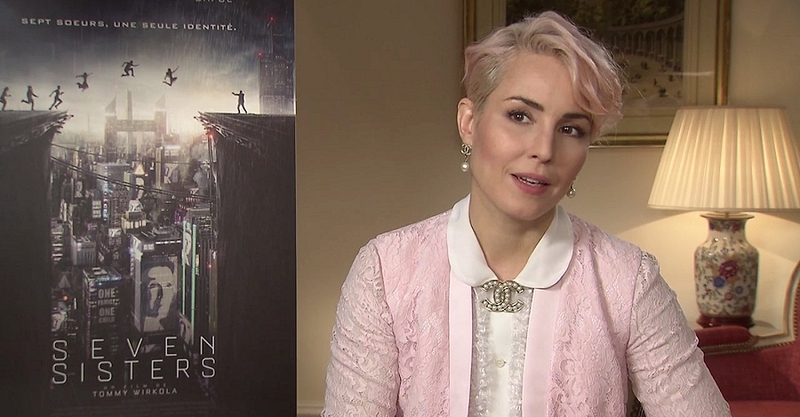 With today’s theatrical and demand release of “Unlocked” in the United States, a bunch of new press junket interviews with Noomi has been released. 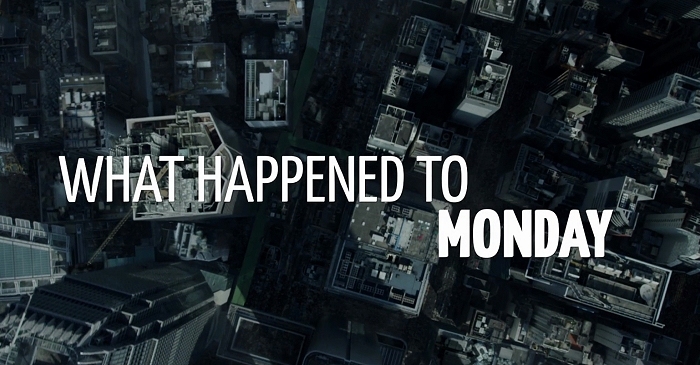 Also, for the French theatrical release of “What Happened to Monday”, interviews from the French press junket are online as well. Check out the new interviews, alongside a couple new interviews from the British press junket for “Unlocked” and a b-roll for “Monday”, in the video archive. Many thanks to Marika for the heads-up. Frederik August 31, 2017 Comment? 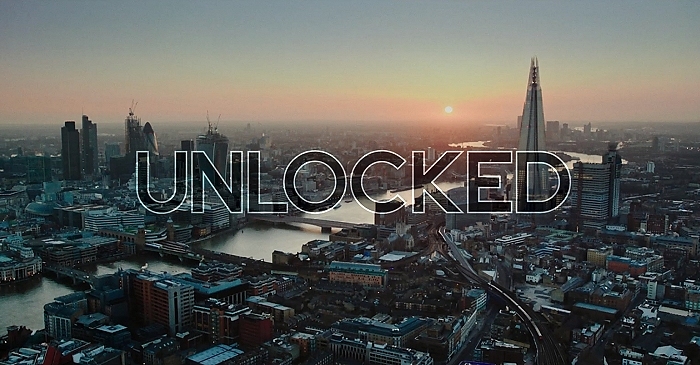 “Unlocked” has been released on Blu-Ray in the United Kingdom on Monday and I was thrilled to finally watch it. I was expecting something bad after the film has been in the shelf for over 3 years. Luckily, the film’s quality was not the reason for its delay – at least not in my book. It’s a good entertaining thriller, nothing new to say the least, but still very well done and a good ride. I was looking forward to an ensemble piece, given the talents of John Malkovich, Toni Collette, Michael Douglas and Orlando Bloom involved, but it really is a one-woman show with Noomi Rapace commanding the screen – and every single scene. It’s another powerful leading role. The only real disappointment about the British Blu-Ray is that it includes absolutely no special features, zero. It would have been nice to go behind the scenes and learn more about the making of the film. Make sure to grab your copy or catch it in an American theater for its US release starting tomorrow. Screencaptures from the Blu-Ray have been added to the photo gallery – be advised that they contain heavy spoilers. Frederik August 20, 2017 Comment? After two years of waiting, our question of what has happened to Monday has finally been answered, as Tommy Wirkola’s scifi action thriller is available for streaming on Netflix since Friday. There’s a lot to say about the movie, good things and bad things, but one thing is for sure – “Monday” has been worth the wait. 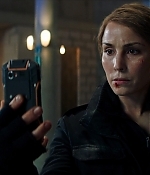 Noomi delivers a true tour de force, being able to indeed pull of seven performances with seven different characters. The great special effects do her a great service by blending all sisters together effortlessly. After a couple of minutes you don’t think about how they have done and just enjoy the performances. Without spoiling the story, the film is much more violent than expected, unnecessarily vulgar throughout, loses its pace after the first half and picks it up right when it has to. The first thing I thought when the ending credits started rolling, is that I have to watch it again to see how good it really works and how it connects all the dots. So “Monday” is a definite recommendation. 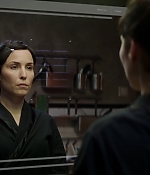 Screencaptures have been added to the photo gallery, and their amount is huge because Noomi is in almost every single frame of the film, and please be advised that the captures also feature massive spoilers – so if you haven’t seen it yet, make sure to watch it on Netflix to enjoy it fully. Have you seen it yet? Share your thoughts in the comments.